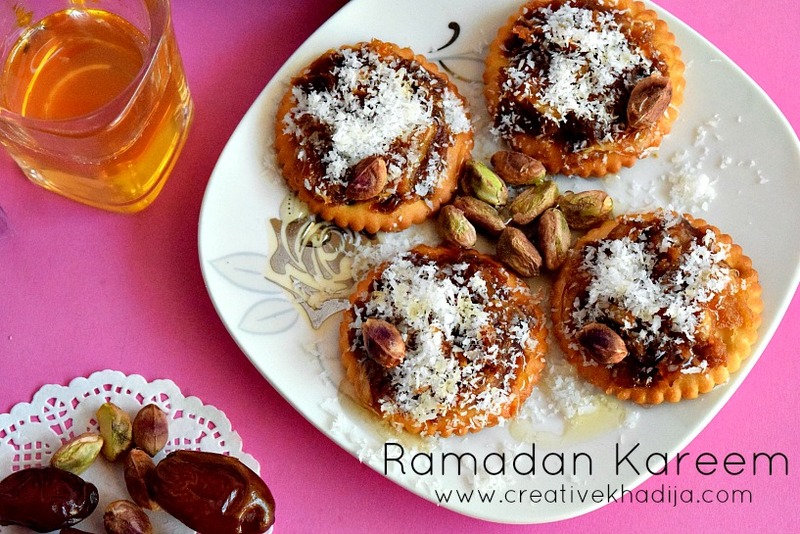 Ramadan Mubarak 2017 to all the Muslim readers & followers of Creative Khadija blog. Alhamdu’lillah holy month of Ramadan started by the grace of Almighty. It’s the month of fasting & receiving a lot of blessings by Allah Almighty. 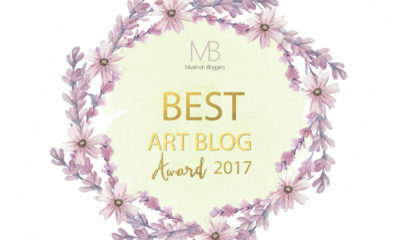 I was not suppose to write a blog post today as it was a busy day but suddenly I planned it & thought to greet you all dear people here. As you people always like my recipe posts, So I thought to share a recipe today! 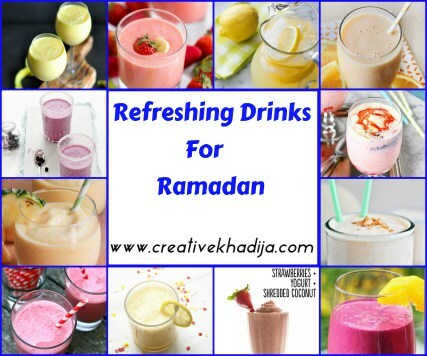 Have a look at some recipes by Creative Khadija. Recently I did a food photography project in collaboration of a food brand. I brainstorm some recipes & then did a photo shoot of my recipes & food. 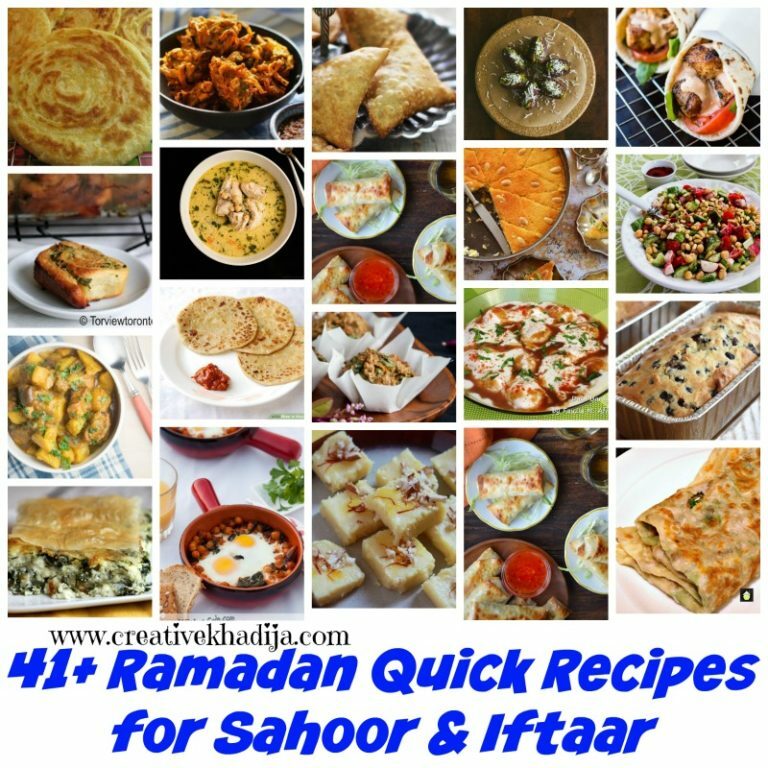 I will be sharing some easy peasy bite sized yummy recipes on my blog on iftaar theme. Hopefully you will enjoy my food, recipes & photography too. 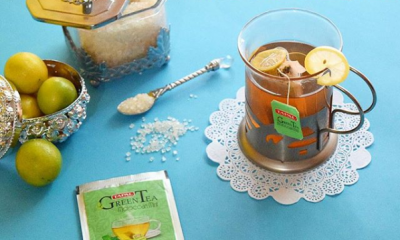 Have a look at this easy peasy recipe which is perfect for your iftar platter. 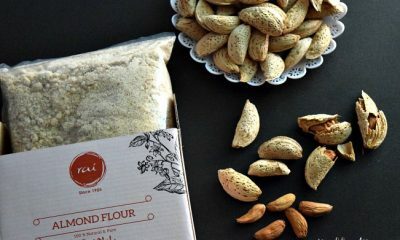 These bite size energy snack will be helping you in boosting your energy after fasting from sunrise to sunset. Dates, Coconut Powder, Pistachio, Honey, Crackers. Separate date seeds & mash dates for making a paste of them. 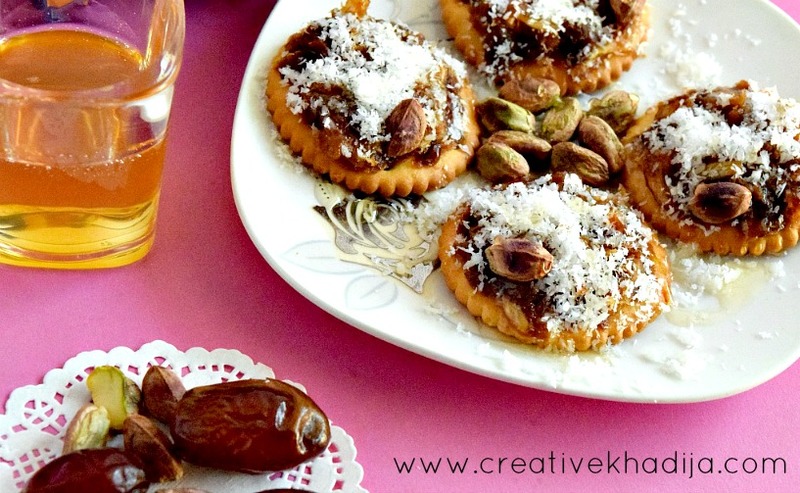 Brush some honey coat on crackers & then spread the dates paste on the cracker. Dust some coconut powder on it & honey too. You can also crush some pistachios but I prefer putting pistachio nut on the snack as whole. Easy peasy & quick recipe for Iftar plate. 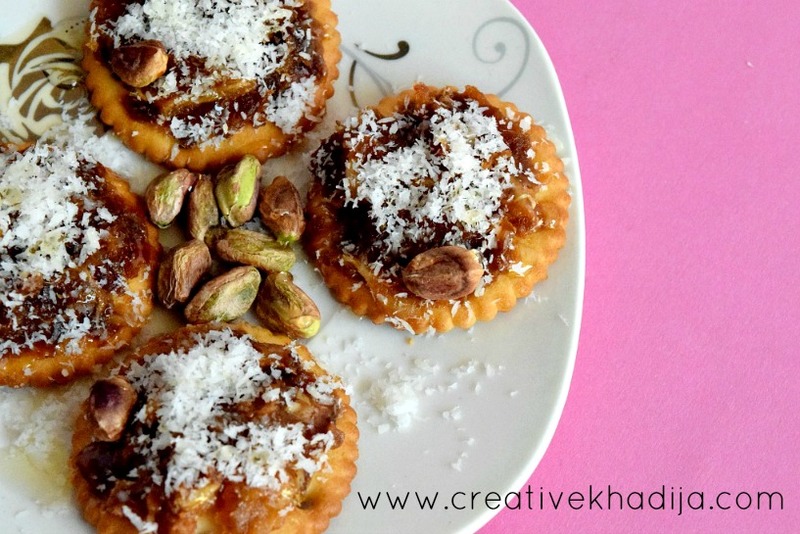 You should give this recipe a try & I am sure you will like it. I will be sharing some more easy & quick iftaar platter snacks recipes in coming days. Stay connected & be sure to try my recipes! Okay? I would like to know your response as well. 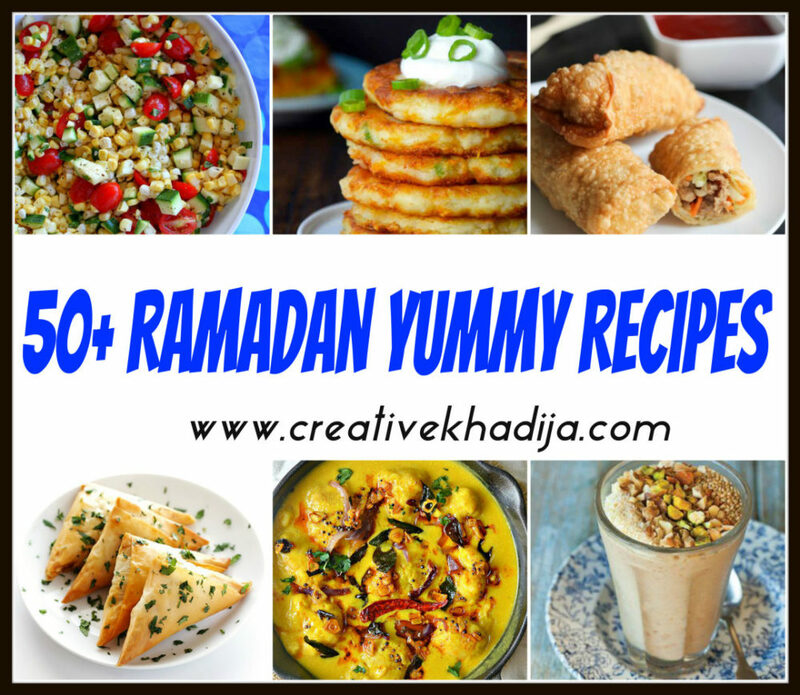 Here you can see some more recipes collections from Creative Khadija blog archives. Have a look at these too. Don’t forget to share these recipes with your family & friends by sharing this post on your social media networks. Hit the sidebar icons or the social media sharing buttons under this blog post. If you have tried any of these recipes, Let me know! 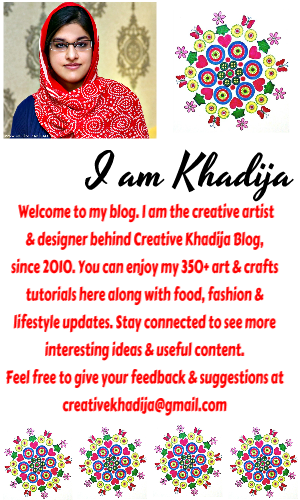 Also, If you have any interesting recipe with you & would like to share with the wonderful readers of Creative Khadija Blog, Then be sure to share with me. Use the Contact Us form for getting in touch. Looking forward to it. Have a blessed Ramadan Mubarak 2017. Keep me remember in your precious prayers! I hope you will be having a blessed & wonderful month of Ramadan Kareem. I haven`t tried anything like this, but I`m sure it`s delicious! I don’t celebrate Ramadan but that date energy ball sounds like a tasty snack for any time of year! Have a great week. Yeah these are very tasty, healthy & easy! Looks so yummy, I’ll definitely try it. Thanks for sharing! They look great. I love learning different recipes and traditions from all over the world, it’s one of the best rewards of blogging. 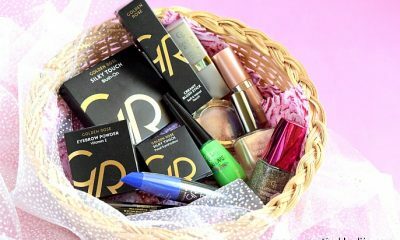 Thank you for sharing at The Really Crafty Link Party this week. Though we don’t celebrate it, I wish you a blessed Ramadan.